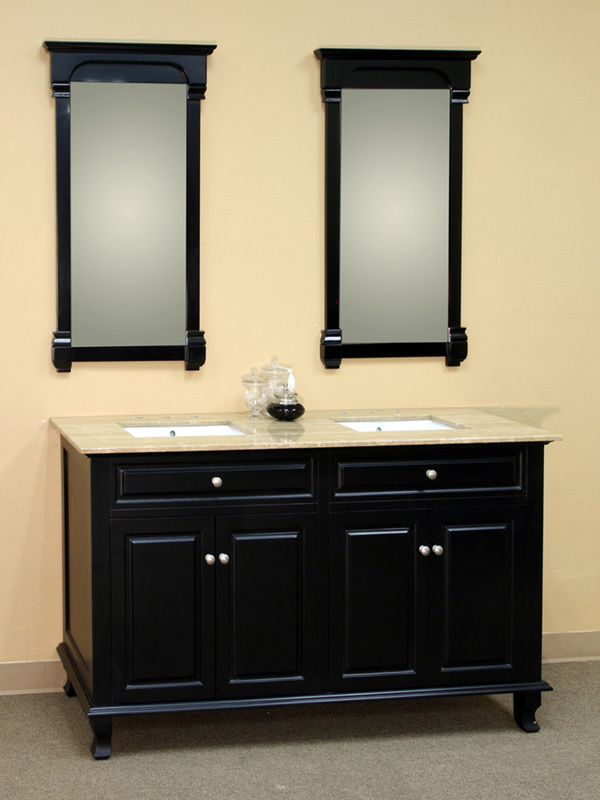 With its chamfered panels, beveled trim and simple design, the Guilarte Double Vanity has a great traditional look with a slightly modern influence. 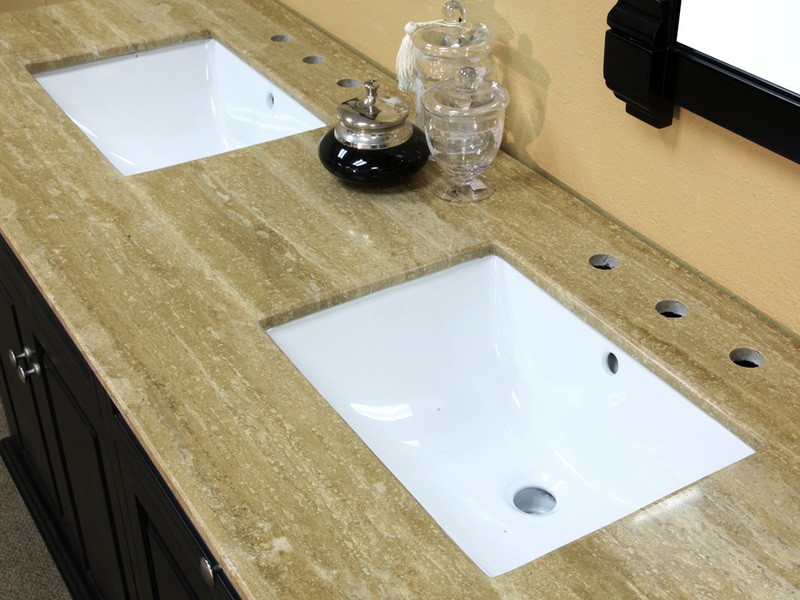 The vanity comes with your choice of either a Baltic Brown or Travertine counter top. 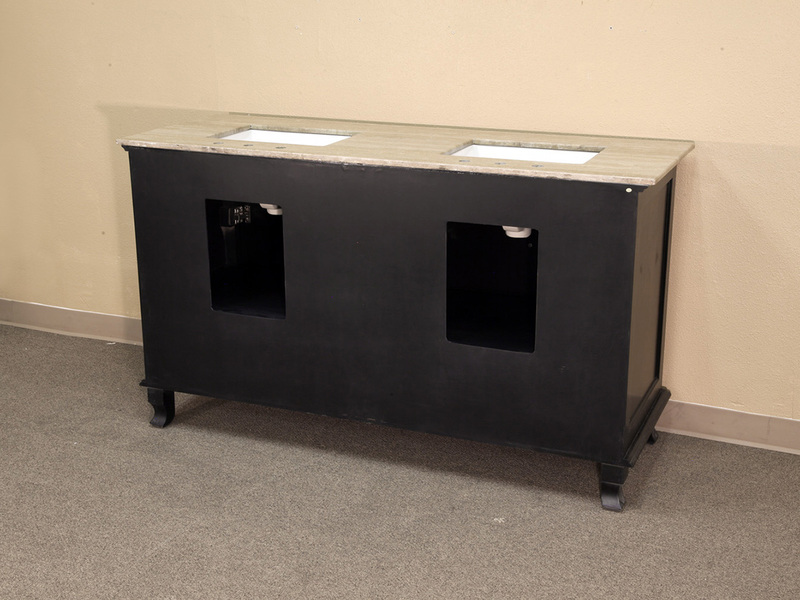 The stark black finish not only looks great, but is water proof to protect the wooden cabinet from humidity. 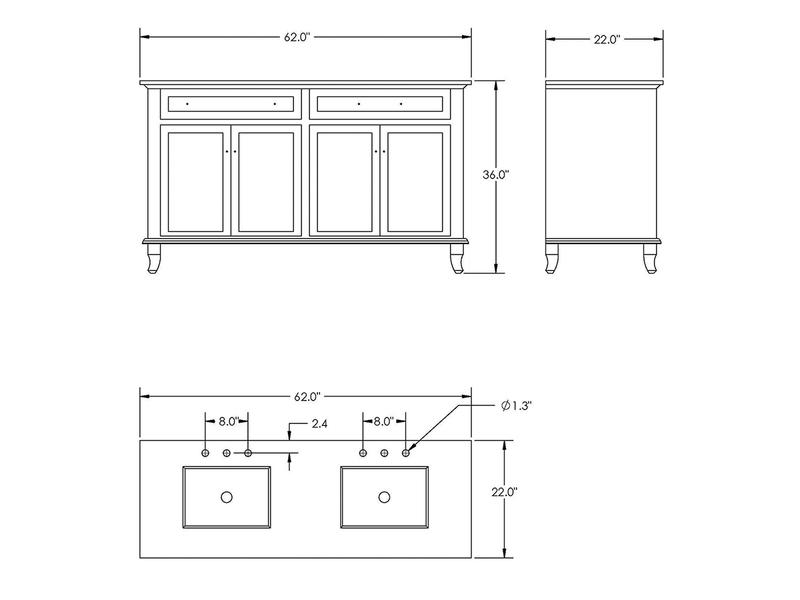 With two two cabinets, each with an interior shelf, there is plenty of storage space for your bathroom necessities. 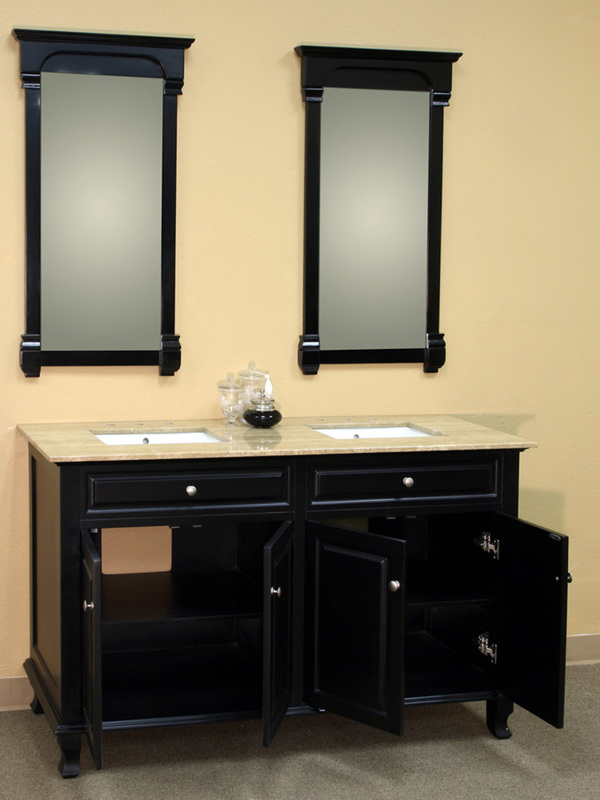 The cabinet doors feature nickel finish hardware, which looks great against the black finish, and soft closing door hinges. 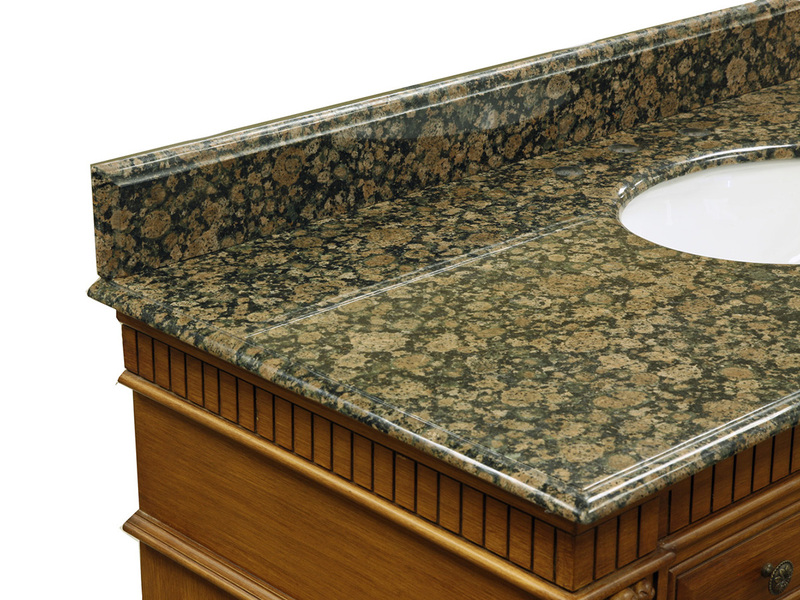 Optionally, a backsplash is available for either counter top, see the drop down menu for your options.